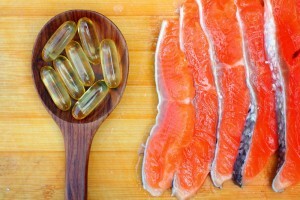 There is only one published study so far which has investigated the effects of omega-3 (DHA) supplementation in healthy school-aged children using neuroimaging techniques. This study conducted by McNamara and colleagues examined the brain activity of 38 boys (aged 8 to 10 years) using fMRI in the context of a randomised, placebo-controlled, clinical trial . Children were randomly allocated to receive DHA in 2 differing dose groups (n = 12, 400 mg or n = 14, 1200 mg) or placebo (n = 12).Their brain activity was recorded during a task measuring sustained attention at the start of the study and then 8 weeks after taking DHA. The scans were then contrasted between the 2 time points: baseline versus follow-up. The results found that the red blood cell levels of DHA had increased by 47% to 70% at 8 weeks in comparison to the placebo group . Both groups of children taking DHA showed increased activation of the dorsolateral prefrontal cortex. DHA levels were positively associated with dorsolateral prefrontal cortex activation and negatively associated with reaction time (RT). The main findings essentially reported that as the blood levels of DHA increased – brain activation also increased. The second association suggests that as levels of DHA increased – reaction time decreased, that is, became faster so performance was improved. This was the first study to demonstrate that dietary intake of DHA was able to alter cortical attention networks in healthy boys. Further research investment using imaging techniques is needed to test whether similar findings can be drawn in clinical child groups such as those with ADHD.